Home / SEO / SEO in 2017 – 10 Highly Relevant Questions Answered by Top SEO Experts. SEO in 2017 – 10 Highly Relevant Questions Answered by Top SEO Experts. Since 2013, we had been doing SEO surveys annually (Check out the surveys we conducted in 2013, 2014 & 2015). The objective had been to take the pulse of the SEO community and also to enlighten our readers about the key developments happening in the SEO landscape. Expert opinions are important because they help the industry to speculate less and strategize better for the future. This year, instead of conducting a survey, we decided to approach some of the top SEO experts in the industry with some specific questions very relevant to the developments happening in the SEO landscape. We thought their answers/opinions would help our readers understand the currently changing SEO scenario and also the key changes we can possibly expect to happen in 2017. We hope this post will help you to take some proactive measures to be prepared to adapt to the upcoming key changes in 2017. What will be the impact of Google’s upcoming separate Mobile Index on SEO in 2017? The biggest impact will be the fact that they will begin crawling site’s on a mobile first basis. That means the crawl path in your mobile experience will dictate how Google finds pages on your site. There are many companies that have thought long and hard about content discovery in a desktop environment, but that have not put any effort into thinking about that in their mobile experience. This could significantly impact the discovery and indexation of their content. It underscores the importance of reviewing your site primarily from a Smartphone device, and, in fact, doing that before you review it from a desktop device. Too many brands are not doing this. Yet, we have many clients at Stone Temple where 60% or 70% of their visitors come from Smartphones to their site. The key change that brands need to make in 2017 is to stop talking about being mobile first and actually start being mobile first. If you have to make one major prediction for SEO in 2017, what would that be? So if I took the easy route, I would predict that mobile will grow even faster in terms of importance with SEO in 2017. With the Google announcement on the mobile-first index being the clear indicator there. But if I want to be bolder, I’d predict that AI and machine learning will take even more control over the Google search algorithm in 2017. With respect to the upcoming Google’s separate mobile index, there is a concern that mobile content tends to have fewer links. How do you think Google will tackle this challenge? Also, please clarify this for our readers – Isn’t that only a concern for people who have separate mobile sites? Owners of responsive websites or sites that use same urls to serve same content across devices, don’t have to worry about this, right? What are the key changes do you see in the SEO landscape in 2017? The SEO landscape is continuing its shift back to its technical upbringing. The expansion of web technologies and Google’s focus on speed and structured data to inform a wider array of mobile and vocal search applications will change the how users interact with search and where SEO’s spend their time. If you’re not thinking mobile first, you won’t win in 2017. Penguin 4.0 devalues spam links rather than penalizing entire sites – how do you think this change will affect the SEO landscape? Many SEO evangelists have been advocating for some time now, particularly after, Google’s aggressive manual penalty drive, that putting ‘Link Earning’ over ‘Link building’ is the way to go. What’s your take on this? …and what types of link building tactics do you think will work in 2017? Good link building is and will always be about earning trust, both from an algorithmic and human standpoint. Humans link out to pages they value, search engines reward authoritative and trusted pages. In the end, the value of a link is judged by both on the level of trust it will bring. Successful link building in 2017 will be dependent on several issues: finding solid sources to host your links, creating unique content that attracts attention and developing key partnerships. Content competition is huge and will only get harder in time. Find ways to attract focused attention and you’ll have an easier time attracting links. Do you think Google will continue to hide more data from SEOs? How do you think the SEO industry will cope with this challenge? Google will continue to change the playing field for SEOs as it always has done. Since SEOs are by nature a curious lot, they will continue to adapt to Google’s changes by doing what they always do – a combination of best practices and pushing the envelope to stress-test Google’s algorithmic updates. Whenever Google releases an update, it naturally breaks something in the algorithm that creates opportunity. Google has been gradually reducing the data they share with webmasters – they hid data w.r.t PR, Keyword data (Not provided) and recently ‘keyword volume figures’ in keyword planner ( available only to advertisers now ) – so with respect to that I thought you would discuss a bit about the next possible data type that they may hide from us and what will be the consequences if they continue to reduce the amount of data they share with us. Would love to know your take on this. So stop worry about what Google is going to take away from you next. Whatever it is was probably not accurate in the first place. AS: First hand data from Google is basically religion. People will believe what they want to believe. KP: Ha ha… your point is well taken! How do you think the personal assistant devices like Google Home, Amazon Echo etc. will impact SEO in 2017? As consumers integrate virtual assistants into their homes it be more important than ever to earn Featured Snippets from Google. Many of the searches consumers use on devices like Google Home are going to be question based which is perfect for Featured Snippets. 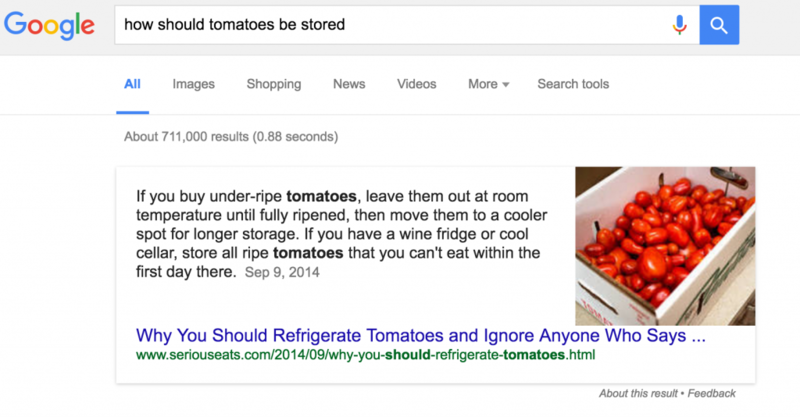 Google is becoming more and more of an answer engine instead of just a search engine. Your goal in 2017 should be to make your site have the very best answers to the questions in your vertical. Cyrus Shepard – Online Marketing and SEO consultant, Founder of Fazillion Media and Former Head of SEO and Content at Moz. Follow him on Twitter. Apart from Links, Content and RankBrain (top 3 ranking factors as revealed by Google’s Andrey Lipattsev), in that order, which ranking factor do you think will have more weight in 2017? 1. Mobile content. Why? Because Google announced they are soon moving to a mobile-first index. While they are still working out how exactly this will work, it essentially means that your rankings will depend more on your mobile content than your desktop content. From this, it’s not a difficult stretch to imagine that Google will also base rankings on your mobile experience, as well – much the same way that Google’s Panda algorithm judges the quality of a site’s content and other algorithms may evaluate user engagement metrics. 2. Answers, answers, answers! Google keeps improving the quality+quantity of featured snippets in SERPs, and we’ve seen sites that can grab these coveted spots see a big boost in traffic. Apart from these snippets, it seems reasonable that Google constantly evaluates how well sites provide satisfying answers to keyword queries. Working to provide clear, fast, and accurate answers would be a winning strategy. 3. AMP. While this isn’t a ranking factor per se, we do see sites that have implemented AMP get featured prominently in news boxes and in mobile apps. While I’m personally not a fan of the semi-closed ecosystem Google has created with AMP, look for it to figure more prominently in 2017. Gabriella Sannino – International Marketing Consultant and SEO Strategist. Owner of Level343, an International Marketing & SEO Company. Follow her on Twitter. What are the challenges do you think SEOs will face or have to tackle in 2017? I think the biggest challenge by far will be integrating mobile search into the marketing fray. Not just making sure a website is mobile friendly, but all the things that mobile entails. We’re at the frontier of “science fiction meets marketing” here. Voice search, location search, long-tail queries, instant answers and even artificial intelligence are coming to the forefront. We should already be devising strategies to combat those challenges in order to bring the best results to the client.